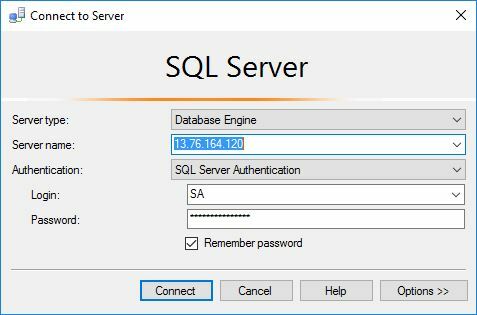 In [previous post] we saw how to install & setup SQL Server on Linux. 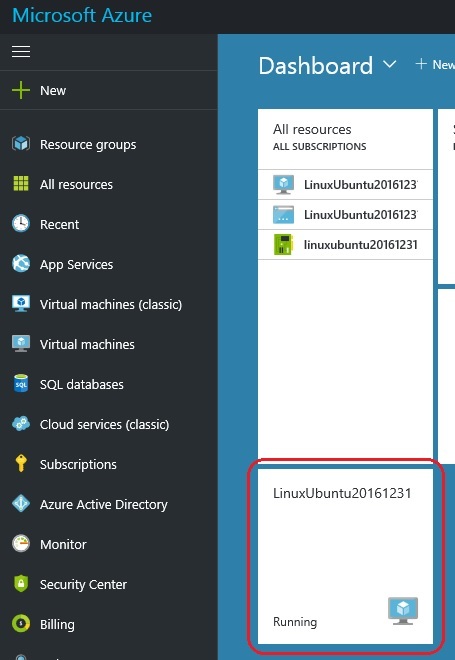 We used PuTTY to connect to the Linux Azure VM and query SQL Server there. 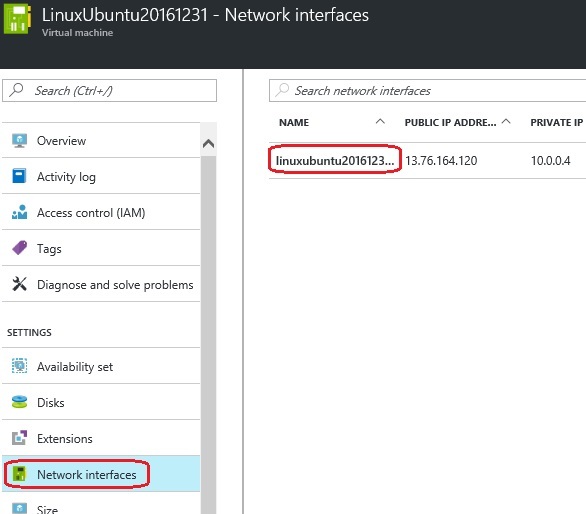 Here in this post we will try to connect to SQL Server on Linux via SSMS from a Windows machine. 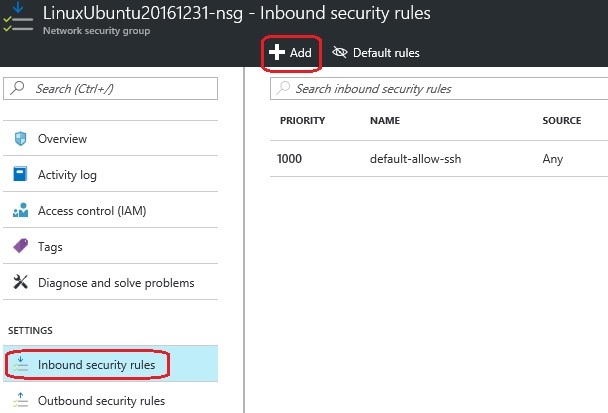 So to connect remotely to SQL Server on an Azure VM, you have to configure an inbound rule on the network security group. 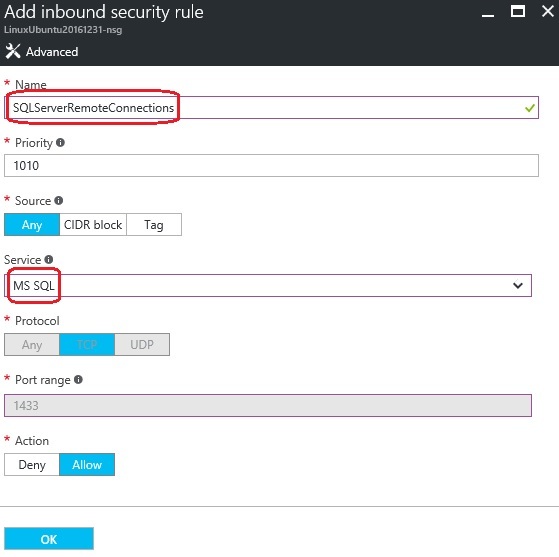 The rule allows traffic on the port on which SQL Server listens (default is 1433). 2. Click on the Linux VM widget, it will open up and list out the Settings, click on Network Interfaces, and select the available Network Interface from the list. – Password: apply the same password that you set it up while Configuring SQL Server on Linux. 7. On successful authentication you will see the Object Explorer showing the SQL instance that’s running on a Linux machine. On a glance you can’t make out any difference b/w a Linux SQL instance or a Windows SQL instance. Thus I executed the SELECT @@version statement which shows the SQL Server version and on which Operating system its running. You can even see the Database SQLdbOnLinux that we created by connecting from the PuTTY client. That’s it for now, will write more about SQL on Linux on coming updates from Microsoft !! !